No one can argue with the unprecedented success of Jurassic World this summer. The nostalgia packed, Chris Pratt-led reboot of the popular dinosaur franchise continually smashed record after box office record, becoming the third highest grossing movie of all time – behind Avatar and Titanic. Just because a film performs well with critics and audiences, however, does not make it perfect. According to Movie Mistakes, of all this Summer’s blockbuster releases, Jurassic World featured the most errors and mistakes. All told, the film features 18 mistakes – a combination of plot holes, continuity errors, and factual mistakes, among other issues. Some of these plot holes include the fact that two teenage boys were somehow able to take a 20-year-old derelict jeep and somehow make it run perfectly. A factual error comes towards the beginning of the film, when a raptor handler easily falls forty feet into the predators’ pen, and gets up as if he fell off a curb. Some of the more minor errors include crew and equipment being visible in certain shots, or props changing position without explanation between cuts. 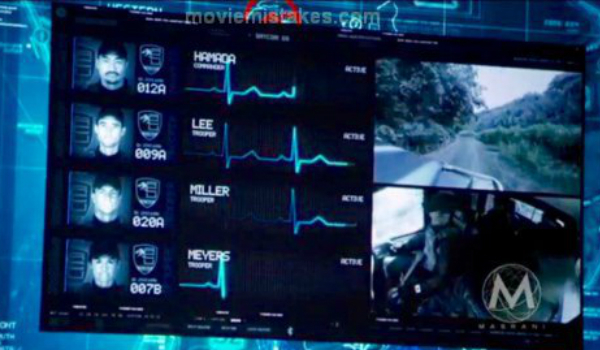 Another mistake comes while hunting the Indominus Rex: the soldiers hunting him in the jungle all seem to have identical heartbeats – which could very well be the case, but is highly unlikely. In a way it’s certainly astonishing to see that Colin Trevorrow’s Jurassic reboot made the top of this list when we consider it was certainly one of the most enjoyable films of the summer. Jurassic World even featured more mistakes than the poorly executed – and frankly trite – Terminator: Genisys. This list also has the effect of making us question what truly constitutes a "mistake." While Jurassic World has a count of 18 mistakes – and attempts to ground itself in a world of science – Furious 7 had only 3 recorded mistakes on the same list, despite the fact that the Fast and Furious franchise regularly defies (or flat out ignores) the laws of physics without any semblance of an explanation. While issues such as continuity errors can be consistently counted through films, plot holes and "factual errors" are an ever-changing concept in the realm of cinema that most certainly defy any metric that Movie Mistakes would seek to apply to them.